Chiropractic for babies, children and the families who love them. Dr. Joel Levitz, D.C., is founder of Levitz Family Chiropractic clinic where we care for babies, children and the families who love them. Located in Ventura, Dr. Levitz uses his experience in Network Spinal Analysis, a very light touch technique, and Somato Respiratory Integration (SRI), to lead families to healthier living. Dr. Levitz believes that a small gentle force can make a huge impact in the nervous system for any age. With skills and expertise that spans the chiropractic wellness spectrum, Dr. Levitz is committed to helping you achieve your wellness objectives based on the principles of chiropractic wellness. Levitz Family Chiropractic is a state-of-the-art family wellness center which combines modern diagnostic equipment and technology with proven chiropractic techniques. From back and neck pain to headaches, childhood illness and disorders, we provide acute and chronic care. Pregnancy care, including the Webster Technique, and pediatric chiropractic is our specialty. We also provide guidance, exercises, and treatment to achieve optimal health and wellness. To learn how chiropractic can help you on your wellness path, call us today at 805-646-0105. Dr. Levitz had his first chiropractic adjustment at six years old. He grew up understanding how chiropractic can provide a foundation for healthy living. 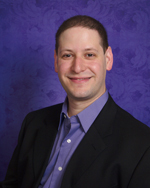 Dr. Levitz received his Doctor of Chiropractic degree from Southern California University of Health Sciences in 2008. Dr. Levitz’s specialty is in a light touch chiropractic technique known as Network Spinal Analysis (NSA), and its sister technique Somato Respiratory Integration (SRI). He is Part III certified—the only Part III certified NSA practitioner in Ventura County, as well as the only practicing SRI Wellness Educator in Ventura County who is certified in Somato Respiratory Integration for the Network Care Office. Dr. Levitz is a member of the ARHP (Association for Reorganizational Healing Practice and the ICPA (International Chiropractic Pediatric Association), and is certified in the Webster Technique. Inspired from his childhood experience and the impact chiropractic (particularly Network Spinal Analysis) has had on his wife and his son, Aidan, Dr. Levitz is excited to meet you and your family to share his passion for holistic chiropractic healing.